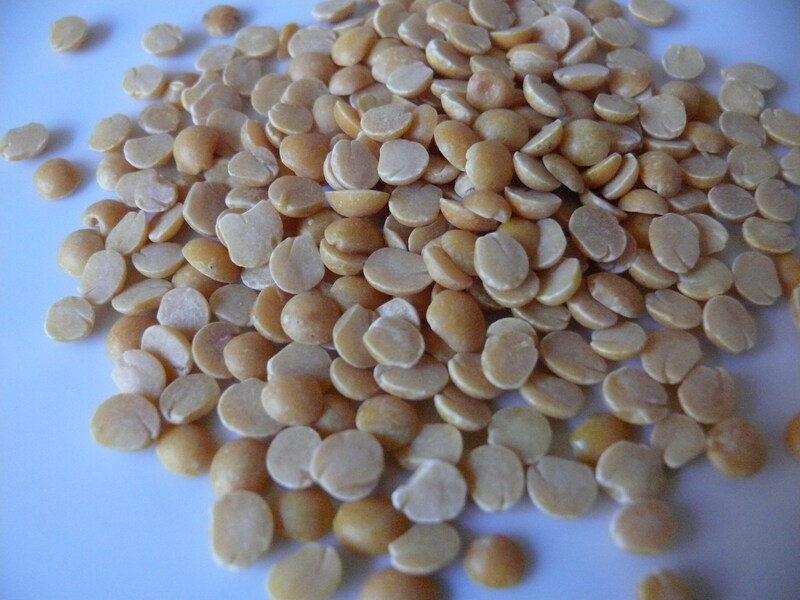 What are Dals and Pulses? Pulses are all your lentils, beans and peas. 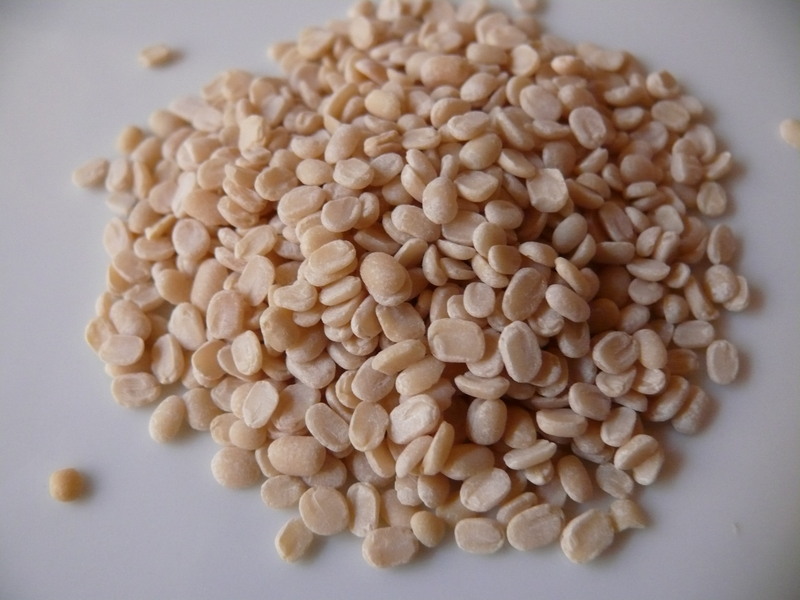 Dal refers to split lentils, beans or peas. As a curry using split or whole lentils, beans or peas. 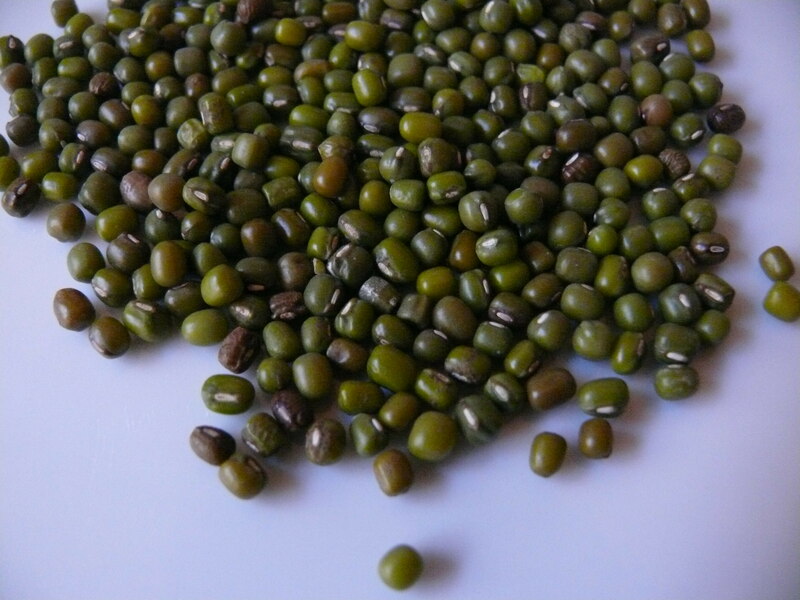 Toor Dal (Split Pigeon Peas): Split yellow pigeon peas. 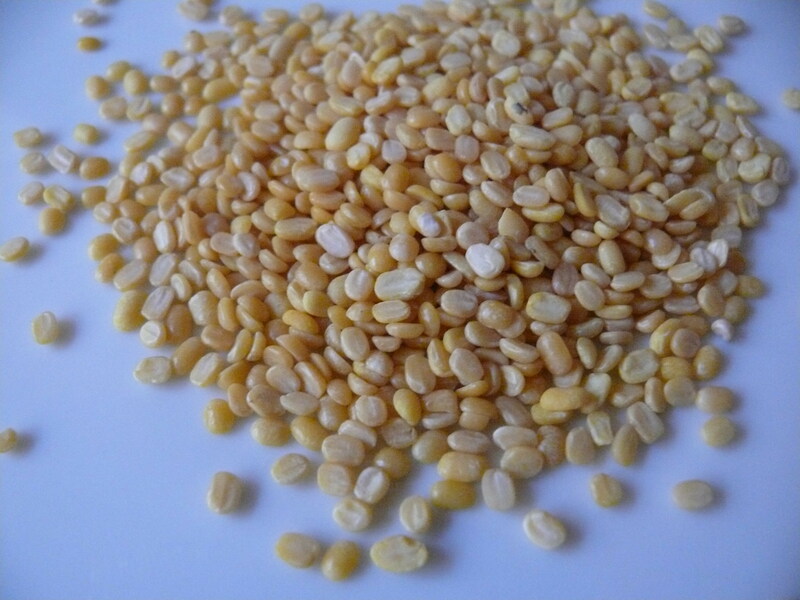 Most common dal used in yellow or tadka dal. Also a main ingredient in sambar, a South India soup often served with dosa, idli and in must in a South Indian thali (a full meal with vegetable dishes, rasam, sambar, rice, etc.). Flavor is often called a little musky. Here is a step by step recipe for a typical tadka dal using toor dal. Here are two sambar recipes: sambar without using sambar powder and quick sambar. 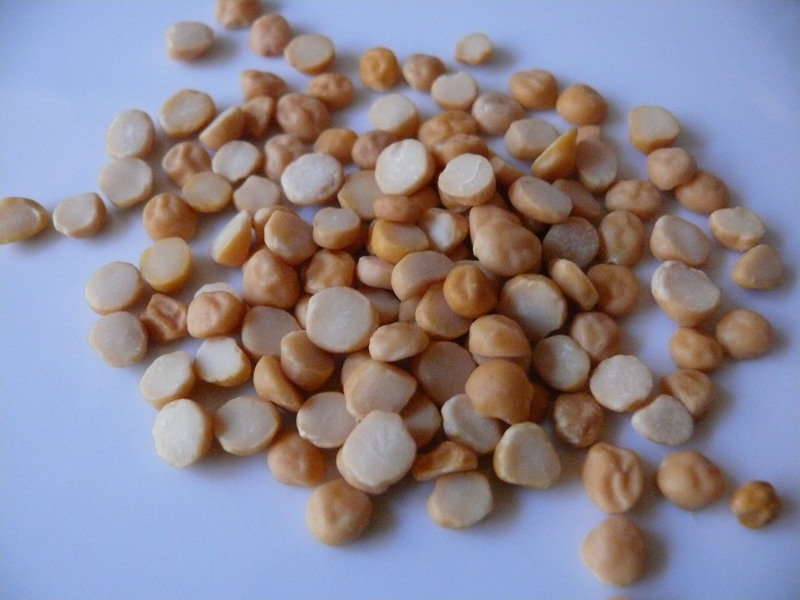 Channa Dal (Chana Dal/Split Garbanzo Beans/Bengal Gram): Our second most used dal in yellow dal. Also can be used in a tadka in South Indian dishes and chutneys. Here are two recipes using channa dal: yummy channa dal and channa dal w/ spinach. 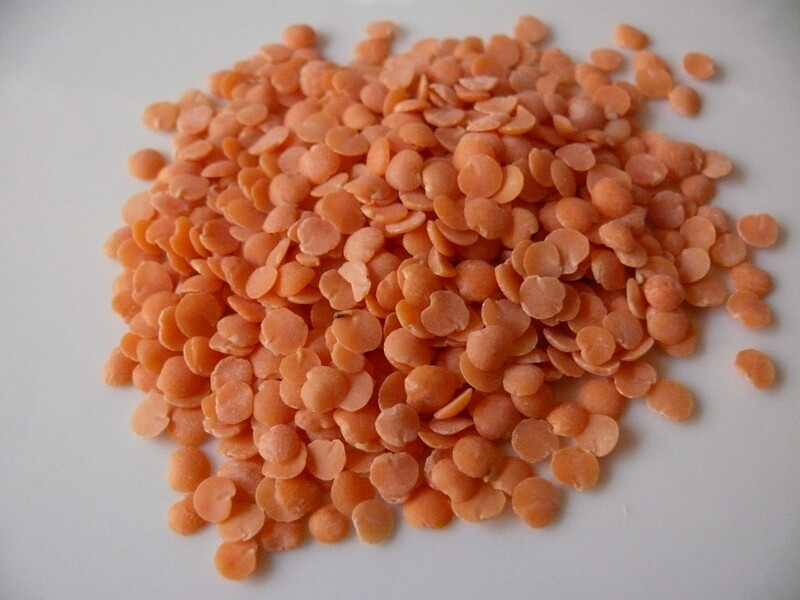 Masoor Dal (Split Masoor Lentils): Red in color, but when cooked become yellow. This dal cooked fairly fast and a good choice if you don’t have a pressure cooker. Texture is a little gooey when cooked. Here are a couple of masoor dal recipes: Hariyali Dal and Masoor Dal w/ Goda Masala. 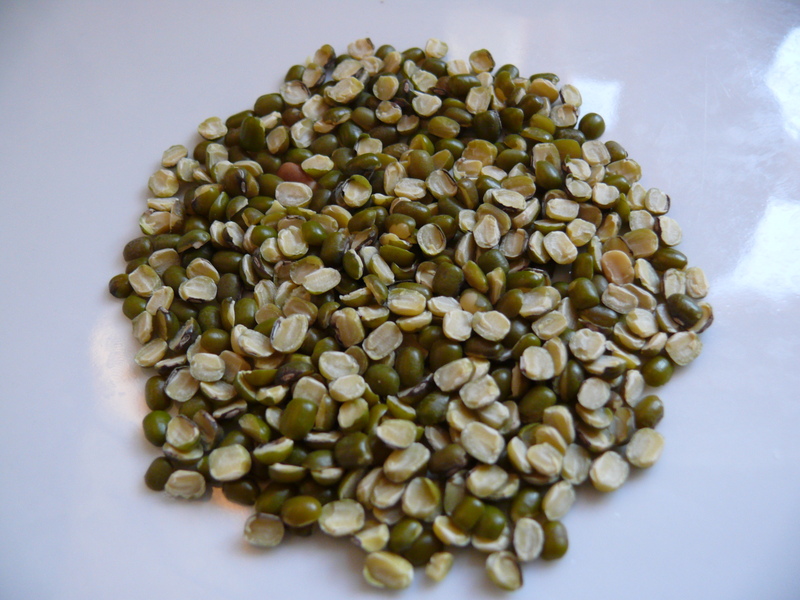 Whole Moong/Mung Beans: Used in mug, a great breakfast dal. Also love it in this recipe which adds yogurt to the dal. 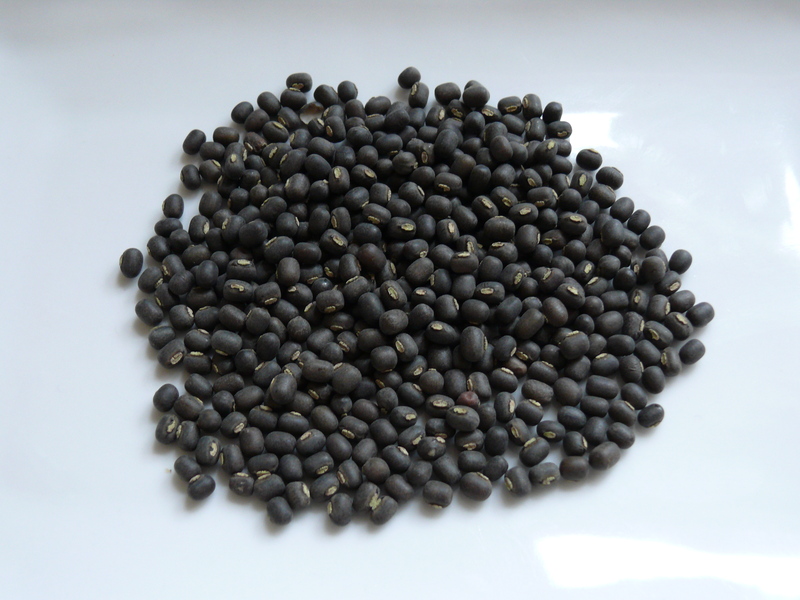 Whole Urad (Black Gram): Used in North Indian black dal or dal makhani (black dal with butter). Black dal dishes are typically cooked longer and are heavier/richer than yellow dals. Urad Dal (Peeled and Split Whole Urad): Used along with rice to make dosa and idli batter. Also vadas. Also can be added to the tadka and poured onto dishes in South Indian cooking, great nutty flavor! 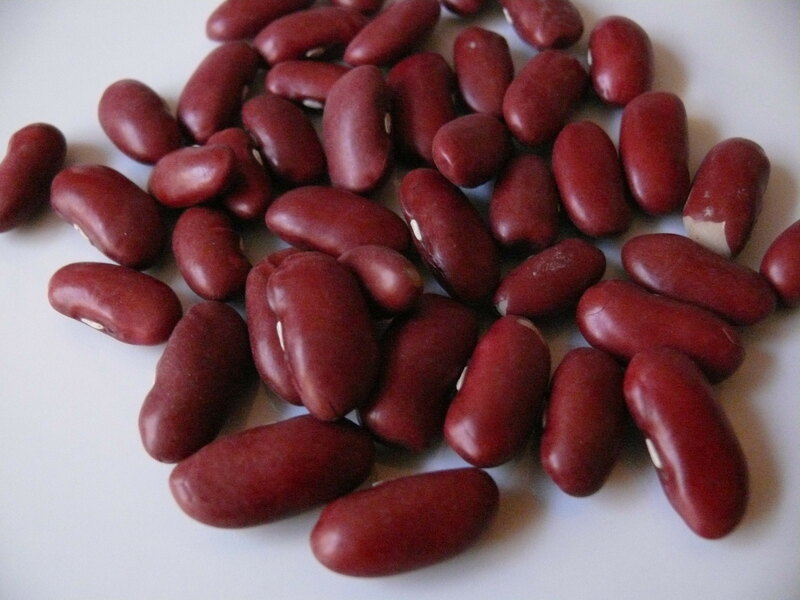 Kidney Beans (Rajma): Rajma Masala is the best single pot dish for a satisfying and quick meal. Amazing with tangy yogurt and onions prinkled with vinegar and chaat masala. We also get these in cans because it makes cooking so fast! 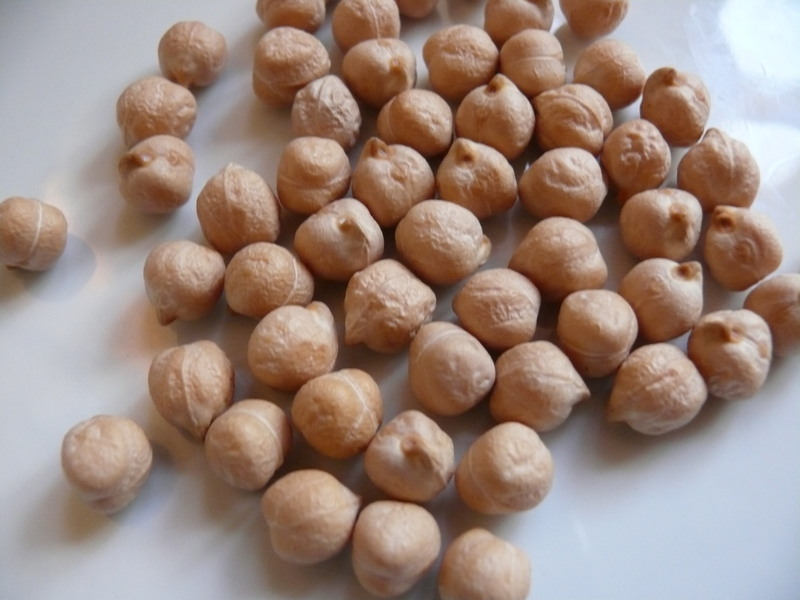 Channa (Chana/Chole/Garbanzo Beans/Bengal Gram): Another bean that we get in cans a lot for ease of cooking. If pressure cooking, soaking first drastically reduces the cooking time. Great dishes include Punjabi Style Chole and a lighter Chana. 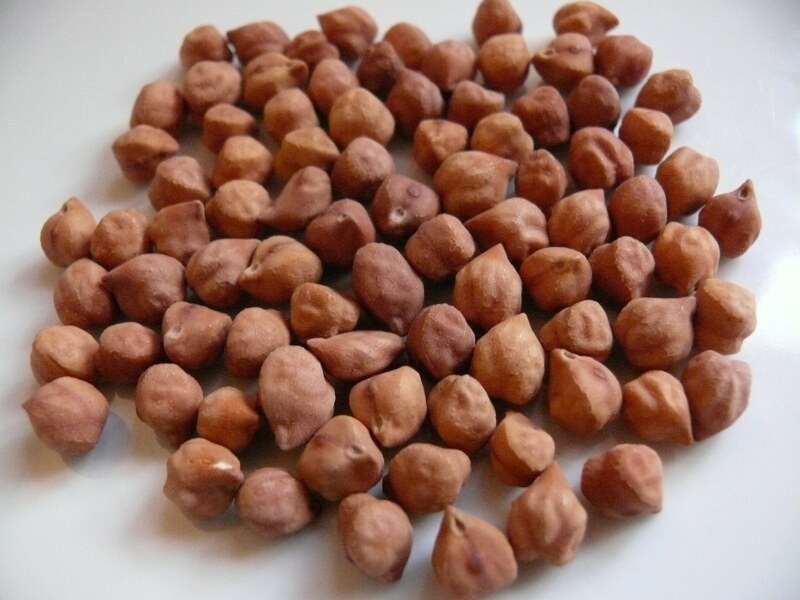 Kala Channa (Small Brown Chick Peas): Darker and a little smaller than the lighter channa. 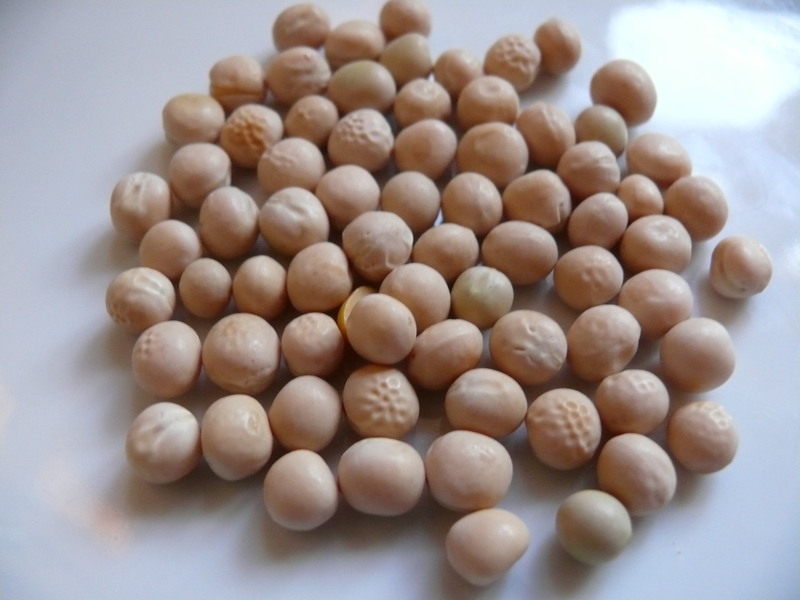 White Peas: Dried peas used most often in Ragda Pattice. 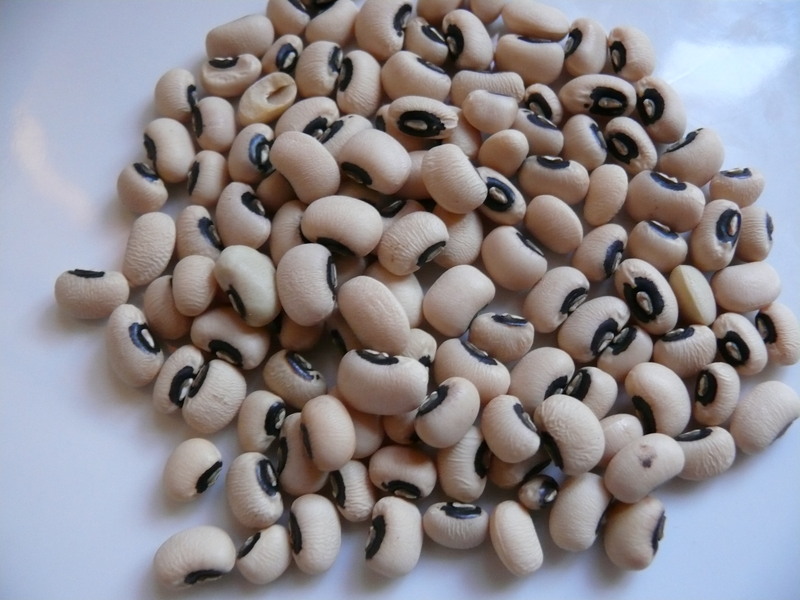 Black Eyed Peas: Used in many parts of the world, but in Indian cooking the two recipes I’ve made so far are Goan Black Eyed Pease and Marathi Black Eyed Peas.